Modern boilers are expected to withstand constantly increasing heating surface loads, increasing the risk of deposits, particularly of lime. 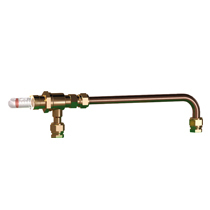 This can reduce the boiler's performance and, at worst, lead to the failure of the boiler. Fillsoft softening units from Reflex are the right choice even for smaller systems. They are inexpensive, effective and also easy for lay users to operate. Unlike with full desalination, there is no danger to the system, even with improper operation, as the acid-base buffer system is retained. The softening device is available in two basic designs. 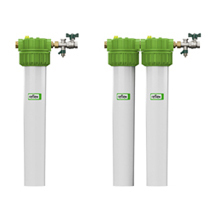 Depending on the desired capacity, you can have either Fillsoft I with one or Fillsoft II with two resin cartridges. The softening occurs in accordance with the principle of positive ion exchange. The hard fresh water is fed through the exchanger column. In doing so, the resin-forming magnesium and calcium ions are replaced by the sodium ions of the resin pellets in the cartridge and the water becomes soft. The hardness of the soft water is reduced to values of less than 0.11 °dH after Fillsoft softening. This is frequently beneath the required target water hardness and also leads to an increased consumption of Fillsoft cartridges. With the Softmix blending device, the target water hardness can be defined by mixing in fresh water in a controlled manner and optimising consumption. 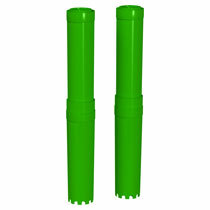 For rapid and easy replacement, the Fillsoft replacement cartridges provide full capacity again. The Fillmeter reliably shows when the resin cartridge must be replaced. 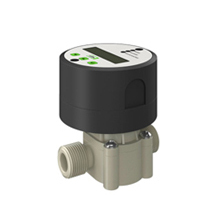 The Fillmeter also calculates the achievable soft water quantity on the basis of the imputed data and adjusts it to the actual measurement.